Plan ahead and give more. Order your gifts for family and holiday hostess gifts today. Bring a host gift with you to the holiday party and you will be appreciated for years to come. As an added bonus, know that you are giving a portion of your payment to some very worthwhile organizations. It's a double feel good, win-win situation! Happy Holidays! 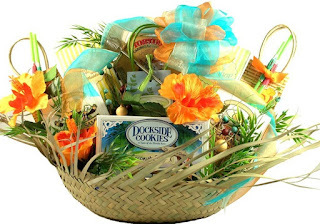 Go back to The Care Basket and order a gourmet hostess gift now.